"A pulse-pounding thriller with a charming protagonist" (Kirkus Reviews), this gripping ebook continues the story that began in The Devil’s Necktie. It’s a great question. 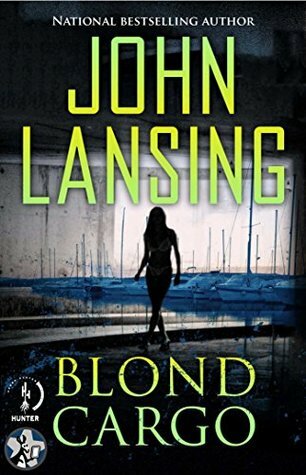 I think blonds in mystery/thriller fiction is purely a popular culture phenomena. Blame Hollywood. Marilyn Monroe, Jayne Mansfield, Jean Harlow, and Carol Lombard were iconic, 40’s pinup girls who graced the doors of military lockers, and the side of WWII bombers. In the 60s, Shirley Polykoff, who worked for a Madison Avenue advertising agency created “Is it true, Blonds have more fun?” and turned a sales campaign for Clairol beauty products into a battle cry that more than a few girls in my high school marched to. “Does she, or doesn’t she? Only her hairdresser knows for sure,” put Shirley into the advertising hall of fame and inflamed our collective imaginations. Bleach blonds. Bottle blonds. Ah, but the few, the lucky, the natural blonds – add blue eyes to that package – and well, they were something very special. In writing a script, or a book, you look for identifying features that evoke an instant response from your reader. If a character is peripheral, but important to story, and you make him a carrot-topped red head, you differentiate him from the herd in short hand. And yet every time “red” makes an appearance, the reader instantly knows who the writer is referring to. In Blond Cargo, Malic al-Yasiri, my antagonist, is a collector of fine art, rare antiquities, first editions, and beautiful women. All stolen, or abducted. The notion being that a blond, in a predominately, dark haired population, is rare, and rare, commands a higher price in the market place. Again, it’s an instant identifier that ties Angelica Cardona, my victim in Blond Cargo, to two other dead women who had recently washed up on the white sandy beaches of Southern California. But, as far as mystery/thrillers go, Lauren Bacall’s lustrous brown hair comes to mind. In To Have and Have Not, Howard Hawks’ classic thriller, Bacall taunts Bogart and the movie audience with, “you know how to whistle, don’t you? You just put your lips together and blow.” Bogart did as instructed. Bacall’s brown hair was part of her intrigue and allure. But, I agree with you, some things never change. Today we have blond haired blue-eyed actresses like, Scarlett Johansson, Charlize Theron and Cameron Diaz and so the trend goes on. Blond still equals glamour in Hollywood on the big screen, the television screen, and yes, in mystery novels. Personally, as far as the beauty of women goes, I’m happily colorblind. I don’t have a type. I grew up with three sisters, a strong mother, and I know what makes a woman beautiful. And it’s not the color of her hair. 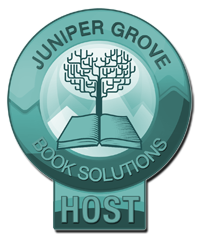 Thanks for such an interesting guest post from John Lansing. It's always good to hear from the author on all the elements an author considers while they're writing a book.